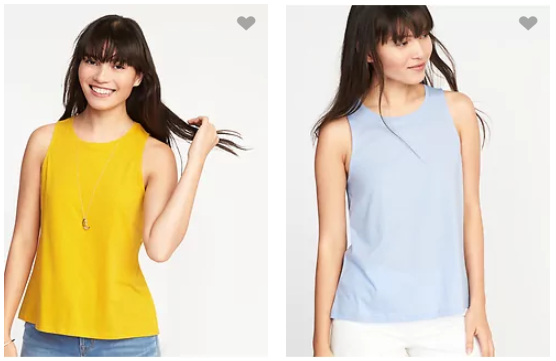 For today only, Old Navy is offering tanks for $2 for women and girls (this deal is for everyone, not just Cardholders)! You can shop this deal both in-store and online, but there is a limit of 5 per person. These are regularly $9.99, so this is a super great offer! Use code TANKS at checkout if shopping online. This offer is valid through today only (4/18). Shipping is FREE with orders of $50 or more.